Do Life Insurers Pay Out For A Critical Illness Claim? I hear this so often; I’d love to know who’s spreading these scurrilous rumours! Car insurance and house insurance can be nigh impossible to claim on, but life insurance is different. You’re worried the insurer will pocket your premiums and then reject your critical illness claim. 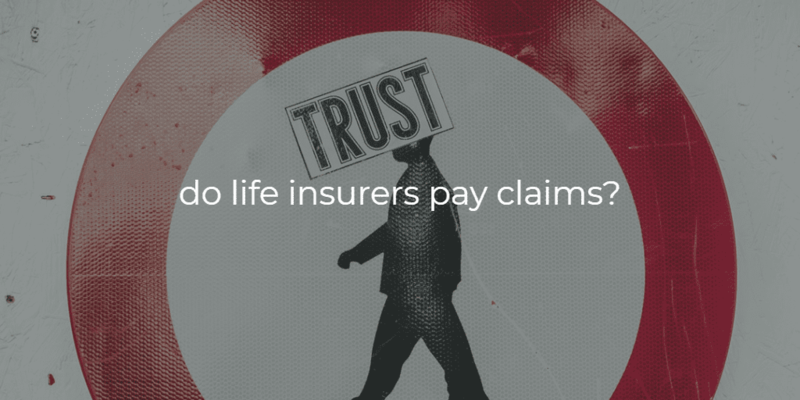 Life insurance providers will decline spurious claims, but if you have a genuine one, they will pay out. Before you take out a specified illness policy, take a read through the terms and conditions. In there you’ll find a list of the critical illnesses covered. Before the insurer pays your critical illness claim, your illness must fall under the definition. Any malignant tumour positively diagnosed with histological confirmation and characterised by the uncontrolled growth of cancerous cells and invasion of tissue. Therefore, although your policy covers prostate cancers, the actual type of prostate cancer that you get has to meet the definition. The prostate cancer must have a Gleason score greater than 6 for you to get a full serious illness payout. But you can qualify for a partial payout. At it’s simplest, this is telling porkies on your application form, e.g. saying you’re a non-smoker when in fact you smoke 20 a day, or not disclosing the fact that you have diabetes. But what if you make a genuine mistake on your application form? Recently I was filling out a proposal form and forgot to mention that I had my appendix out. I contacted the insurer, they thanked me for letting them know, added the details to my file but told me it didn’t affect my premium. If in the future, I make a claim and it’s related to my appendix, I know the insurer will pay out. But, how are you meant to remember things from years back? Have a look at this Irish case where the insurer had to pay the critical illness claim even though the insured forgot to mention a material fact. In this case, a critical illness claim for MS was upheld in the Courts even though Caroline failed to mention that she had undergone tests for eye problems (her symptoms were indicative of MS) eight years before taking out her policy. At the time of completing her application form, Caroline had forgotten about the tests. The Court case found in her favour and awarded her €95,230.76 representing the payment that should have been received by Ms Coleman in 2003 together with interest. What percentage of critical illness claims do the insurers pay? 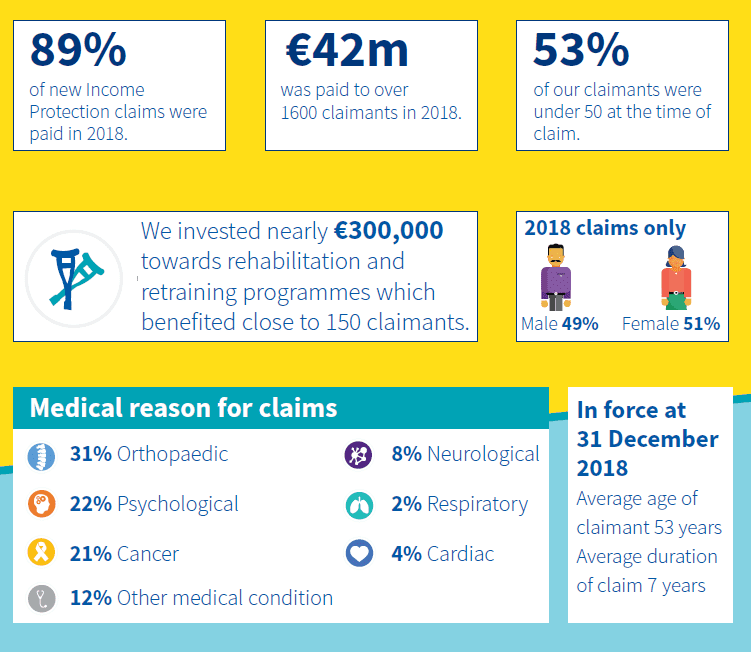 Here are the 2018 claims statistics from Aviva. One in ten of the claims either didn’t meet the definition of the specified illness or there was non-disclosure on the application. In the majority of cases, the insurer can’t pay the claim because the disease doesn’t meet the definition. If you satisfy the definition and disclose all material facts that you are aware of at the time of completing your proposal, then there should be no problem settling your critical illness claim. What about life insurance/death claims? Are you surprised that Aviva paid 98% of life insurance claims last year? Most people think insurers only pay around 60% of claims. There’s no “definition” of death that you need to meet, a death certificate proves your claim so really the only reason for declining a death claim is non-disclosure. And this thankfully is rare. Imagine having to explain to a grieving widow that her husband’s life insurance won’t pay out because he lied on the application form. Please tell the truth on your application. Aviva paid 9 in 10 income protection claims in 2018. Johnny has an income protection policy with a deferred period of 26 weeks. He falls ill and can’t work, after 13 weeks out of work he makes his claim, but before the 26 week period is up, he gets back to work, so he cancels his claim. Aviva record this as a declined claim. I hope this gives you more confidence in buying life insurance, serious illness cover and income protection. The insurers are in the business of paying claims despite the consensus that they don’t. Don’t confuse life insurance claims and car/house insurance claims; they are two different animals. By the way, if you are considering buying critical illness cover, please take some independent advice. Although all the life insurers offer serious illness cover, some policies are much better than others. Don’t just buy the cheapest. It could come back to haunt you.